Happy New Year! We are looking forward to seeing all of you at our upcoming 2019 gigs! 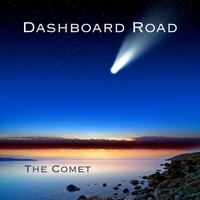 Dashboard Road’s full original album “The Comet” is streaming on Spotify, Apple Music, Amazon Music, IHeartRadio and is available on ITunes. You can also check us out on YouTube! Here is one of our recent new singles called “December” which was inspired by stories of soldiers getting leave to come home for the holidays. The Comet – Now Available on ITunes and CDBaby – See Store Link above! Dan Monger and Troy Lauer are the performing/songwriting duo called Dashboard Road, and deliver on their first album together featuring upbeat, addictive melodies infused with alternative rock guitar influences.